Each network Interface can have a default policy and behavior. These method did not define routers, just access to defined Interface. 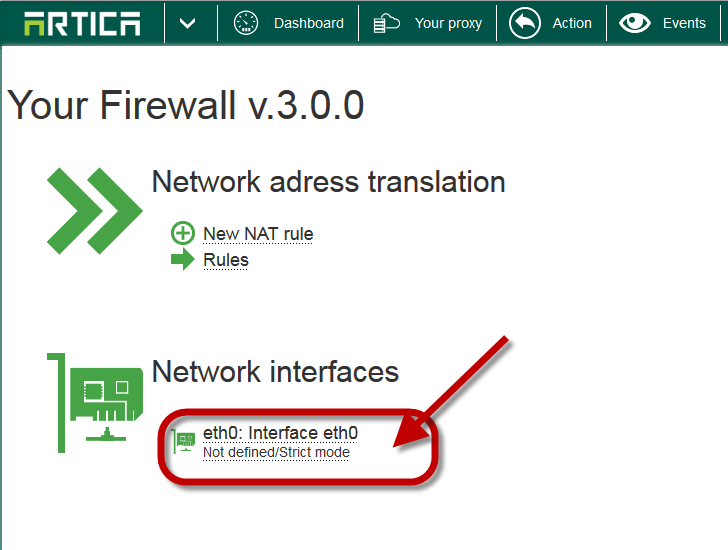 You can change the policy and the behavior by clicking on the Network interface in the firewall section. The “Strict mode” set the firewall to deny unknown services that are not saved in services mode for the defined Interface. The “Trusted mode” allow unknown services for the defined Interface. Act as LAN: No flood protection, everything is accepted from any network to the specified Interface. 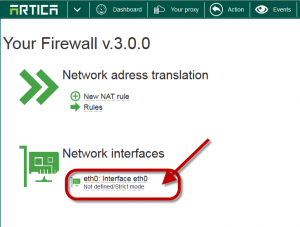 Typically the Firewall doing nothing for the defined Interface. Not defined: No flood protection, everything is accepted if no service is defined and the Artica server is allowed to go to everything. Act as WAN: Full flood protection, Only defined services are allowed, the Artica server is only allowed to go to defined Clients services.